Photo of the day #40: Wear sunscreen. 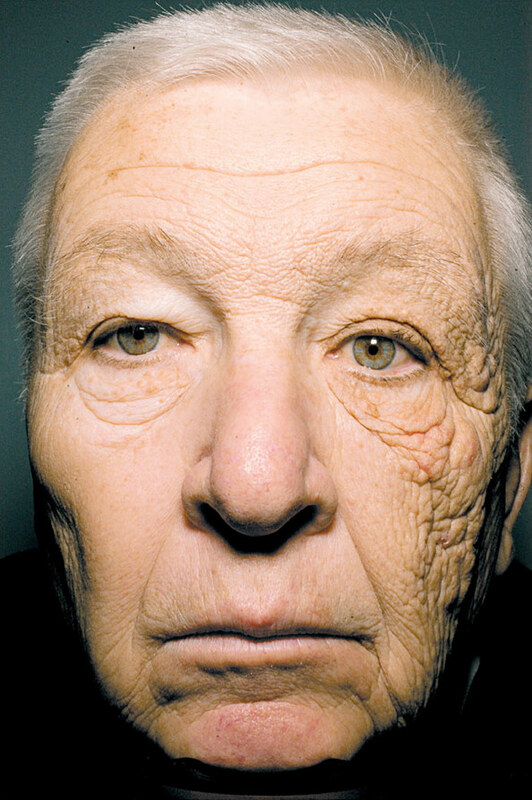 This guy drove a delivery truck for 28 years, so the sun hit him only on one side. Which side do you think it is? New England Journal of Medicine via Kottke.org.